Take one spinach leave, deep into batter and deep fry till golden brown. Drain on absorbent paper. 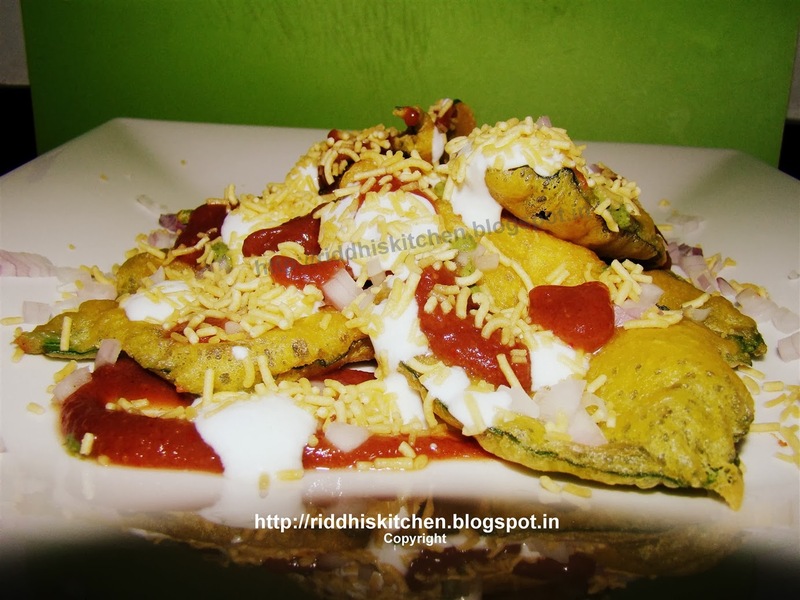 Take serving plate and arrange palak pata pakoda. Pour green chutney, dates and tamarind chutney, sweet curd. Sprinkle naylon sev and chat masala and serve it.